​Across the African continent, total numbers of giraffe have declined precipitously over the last two decades. Recent estimates place the global population size at approximately 80,000 individuals, combining estimates of all of the nine recognized subspecies. The Rothschild's giraffe (Giraffa camelopardalis rothschildi) is among the most endangered of the giraffe subspecies, with fewer than 2,000 individuals scattered across isolated populations in Kenya and Uganda. The largest population, found in Murchison Falls National Park in Uganda, has recently exhibited some very interesting trends. 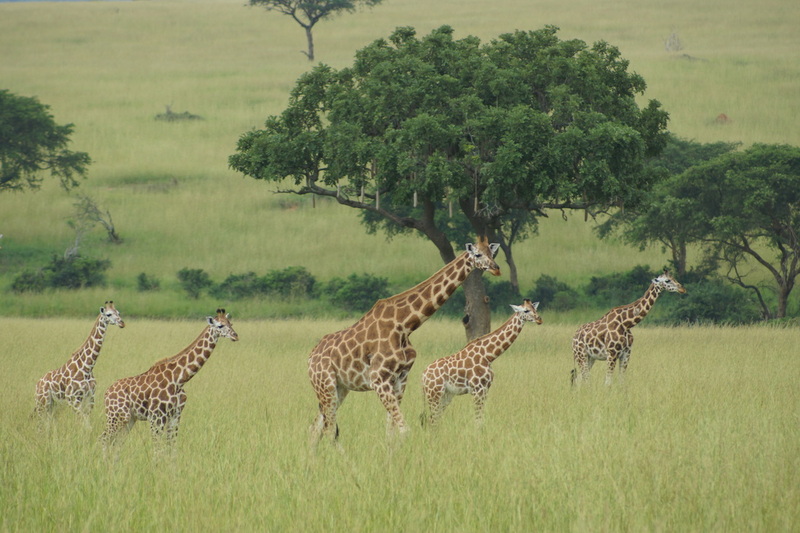 After a period of civil unrest in Northern Uganda resulting from unstable political regimes and rebel groups, the giraffe population in Murchison Falls National Park has grown to historically unprecedented levels. Applying first principles approaches to understanding the effects of resource distribution across scales, I hope to develop a better understanding of the factors that contribute to population level growth and decline through the lens of giraffe ecology. I am broadly interested in integrating patterns of habitat use and demography to understand how resource distribution influences individual and population level processes. 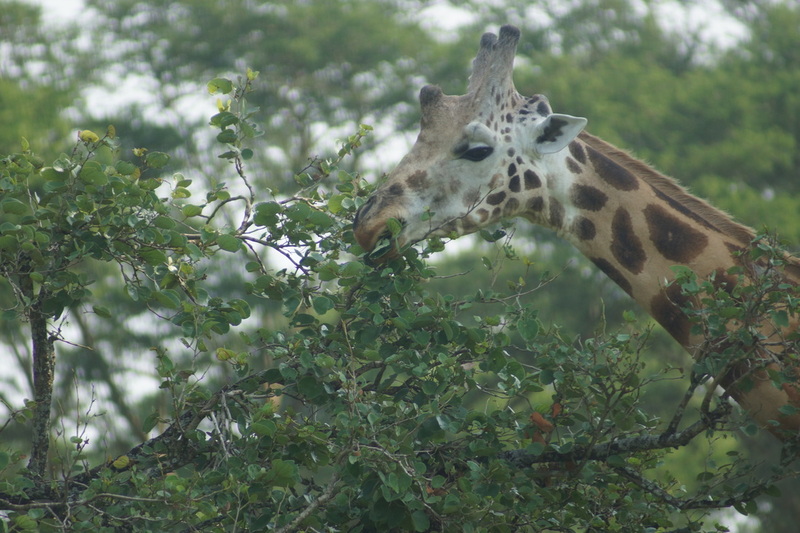 This study, conducted in association with the Uganda Wildlife Authority and the Giraffe Conservation Foundation, examines the interaction between spatial ecology and population dynamics of the largest known population of the endangered Rothschild's giraffe. More specifically, my research aims to examine how variation in resource distribution/quality influence individual movement decisions, population distribution and population dynamics within a closed system. We conduct photographic capture-recapture surveys of the entire population at seasonal intervals to examine seasonal distribution and seasonal variation in demographic parameters. Additionally, we will be tracking giraffe with GPS collars to monitor individual movement behaviours and develop a mechanistic understanding of space use across scales- from foraging decisions to home range formation. On a fundamental level, this study seeks to empirically evaluate some of the theoretical concepts relating habitat selection to abundance/demography and apply these understandings to developing conservation strategy.. In developing a deeper understanding of the interplay of environmental effects on individual-level behaviour and population-level dynamics we hope to cast a light on the effects of habitat loss and community structure on population growth.